Lambley Park is set in the beautiful Devon countryside near Bude with panoramic views over the North Atlantic. The original Victorian gentleman’s residence that Mr & Mrs Middleton were renovating was completely destroyed by ﬁre in 2004, so they set about planning the resurrection of the new building and employed Kingspan Potton Ltd to design the replacement dwelling. 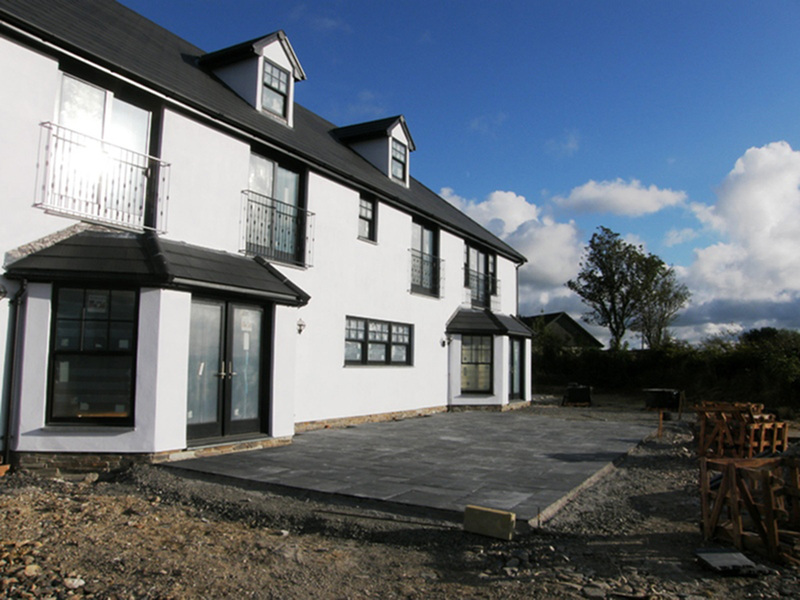 As Potton approved project managers we were delighted to be introduced to the Middleton’s to assist them with the build. The brief was to build a modern custom designed seven bedroom property, with many eco features embracing the latest technology. To be used as a luxurious 5 star bed & breakfast, boutique hotel and wedding reception venue the house was designed around the windows to maximise the stunning views. The high tech heating system incorporated an Air Source Heat Pump, Mechanical Ventilation and Heat Recovery System, underﬂoor heating system and two “Ecocent” hot water systems. The roof is of a contemporary design with ceramic slate-lookalike tiles integrating solar PV panels within the same rooﬂine. full central vacuum system with plug in points on all ﬂoors.